'MISTER STITCHES' is a project that writer/director Michael Smith has been busy pushing to get made. This supernatural gang thriller will be greatly welcomed by horror and gang film fans. "a unique morality tale with a Twilight Zone twist that's set in an era far enough in the past to be the stuff of folklore yet you could visit the location today and feel the terror imprinted on the remains of the old house from that night eighty years ago". Following a bank robbery in 1936 the gang now on the run decide to hold up in a remote farm, but soon they will discover the land takes care of its own. The great news is that casting has begun and has interest from actors far and wide including Hollywood. You can see a teaser trailer here. 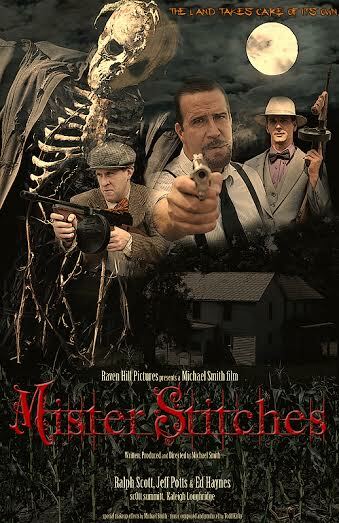 Be sure to 'LIKE' and 'SHARE' the Facebook page https://www.facebook.com/Mister-Stitches-1899029523718273/ for more news on the film as it develops.